Will & Grace are getting a little help from their Friends. 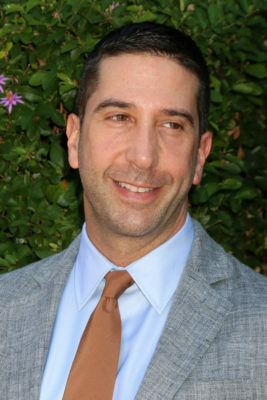 Deadline reports David Schwimmer will guest star on season 10 of the NBC series revival. The sitcom features the return of original stars Eric McCormack, Debra Messing, Megan Mullally, and Sean Hayes. Season 10 is set to debut on NBC on October 4th at 9 p.m. ET/PT. On Will & Grace, Schwimmer will be playing Grace’s (Messing) new love interest. NBC has not released any further details about the character. What do you think? Are you a fan of Will & Grace? Will you watch the new season? Yes, will watch-following Debra Messing! The funniest!